There are now three Korean ballerinas at the Paris Opera Ballet as Kang Ho-hyun recently joined the company after a year-long training period. Founded in 1669, the Paris Opera Ballet is one of the most prestigious ballet companies in the world, together with The Royal Ballet, Bolshoi Ballet and the Mariinsky Ballet. Attracting numerous talented dancers from around the world, the renowned national ballet company selects only a few outstanding dancers to join its ranks. Here are three ballerinas from Korea who are members of the Paris Opera Ballet. Kang Ho-hyun, 22, recently became a full-time member of the Paris Opera Ballet after a one-year training period. After all competitors at the final audition this time, Kang is the fourth Korean ballet dancer to join the oldest national ballet company. Kim Yong-geol, who currently teaches at Korea National University of Arts, was the first Korean to join the Paris Opera Ballet from which he retired in 2009. Kang follows now-retired-from-the-company Kim Yong-geol, “premier danseur” Park Sae-eun and junior dancer Yun Seo-hoo, who became a full-time member of the company last year. Graduated from Korea National University of Arts, Kang was well-received when she took part in “Accompany,” Jo Ju-hyun Dance Company’s production presented at the 7th Ballet Festival Korea. Yun is a 19-year-old ballerina who started her professional career at the age of 14. She joined the Paris Opera Ballet in 2015 and spent two years in training before becoming a full-time member at the ballet company in 2017. Yun was the gold medal winner in the pre-competitive age division at the Youth America Grand Prix in 2011 and won first class distinction at the 2014 International Ballet Competition Varna's women’s junior division. Park is a “premier danseur” of the Paris Opera Ballet. 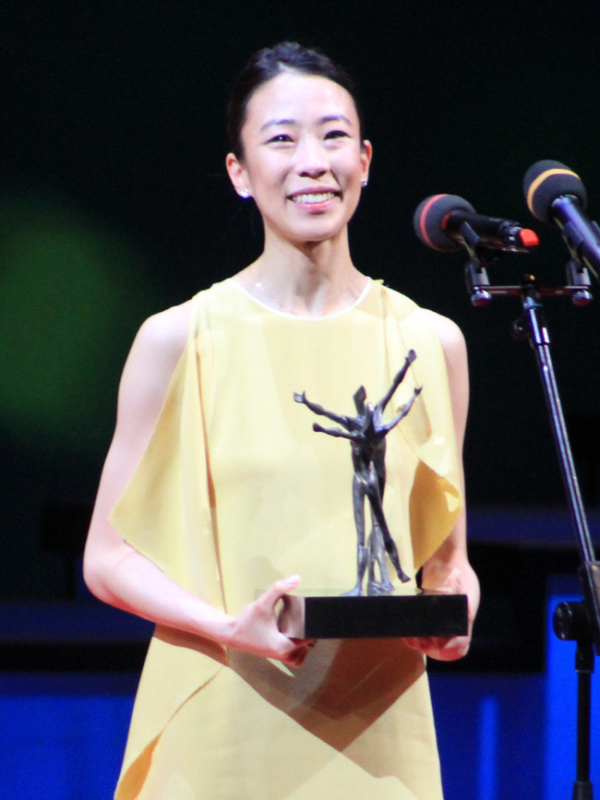 In June, Park also won the best female dancer award at the Benois de la Danse awards in Moscow, prevailing over five other competitors from acclaimed ballet companies around the world. Park is acclaimed for her lead role in “Diamonds,” which is part of the “Jewels” trilogy by the legendary choreographer George Balanchine. The 28-year-old ballerina joined the Paris Opera Corps de Ballet in 2011 to earn the full-time position in June 2012, becoming the second Korean ballet dancer to join the ballet company. Park won gold at the 2010 Varna International Ballet Competition in Bulgaria, the first prize at the Prix de Lausanne in 2007 and silver at the USA International Ballet Competition in 2016, a year in which there was no gold prize winner.